India's creative goods exports nearly tripled from $7.4 billion in 2005 to $20.2 billion in 2014, making it one of the world's leading exporters of such products in the top 10 developing economies, according to a UN report. China is the biggest single exporter and importer of creative goods and services. China's trade in creative goods between 2002 and 2015 has been exponential, with average annual growth rates of 14 per cent, the United Nations Conference on Trade and Development (UNCTAD) report said. The second edition of the periodic Creative Economy Outlook: Trends in International Trade in Creative Industries examines the global picture and also features 130 country profiles with reported creative goods and services trade data. The data, which covers the period 2002 to 2015, shows the creative economy's contribution to world trade. Over this period, the value of the global market for creative goods doubled from $208 billion in 2002 to $509 billion in 2015. "China, Hong Kong (China), India, Singapore, Taiwan Province of China, Turkey, Thailand, Malaysia, Mexico and the Philippines were the top 10 performing developing economies stimulating global trade in creative goods," the report said. Among developed economies, the US, France, Italy, the UK, Germany, Switzerland, the Netherlands, Poland, Belgium and Japan were the top 10 creative goods exporters. India's creative goods exports nearly tripled from $7.4 billion in 2005 to $20.2 billion in 2014, the report said. Design goods accounted for the largest share of creative goods exports with a value of $17.9 billion in 2014. Jewellery was a key export at $13.2 billion followed by fashion accessories at $3.2 billion. The US was India's top export partner for creative goods in 2005 but the country slipped to second place in 2014, when the UAE emerged as India's top trading partner, it said. The report noted that India's fashion industry is likely to continue its growth as the country has a large young population. Art crafts (carpet and yarn products) was another dynamic sector with exports at $1.5 billion in 2014. India had a positive trade balance in creative goods trade, which stood at $15.4 billion in 2014. In 2014, the main destination markets for India's creative goods exports were Asia (58 per cent), the Americas (20 per cent) and Europe (19 per cent). The report said India had become the centre for outsourcing work such as game development, game support services. In the coming years, the country is expected to become the hub for development, porting and dubbing of various games across the globe, due to low costs and the easy availability of game developers with world-class experience, it said. "With the country's youth population standing at over 350 million, India is one of the largest markets for companies operating in the global gaming industry," the report said. Highlighting other creative aspects emerging from the country, the report also said that India makes more movies than any other country in the world. 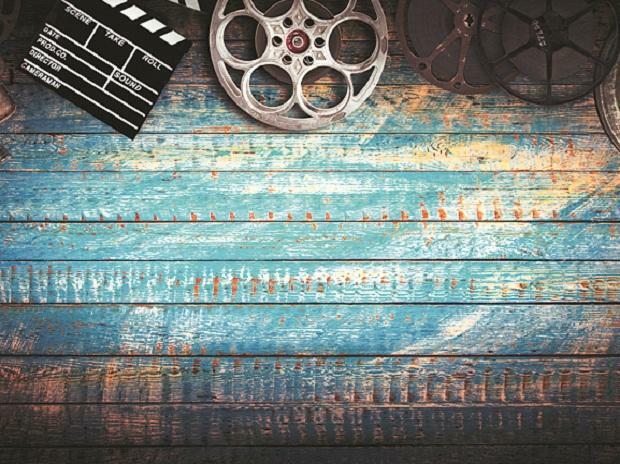 "Fourteen million Indians go to the movies on a daily basis (about 1.4 per cent of the population of 1 billion) and pay the equivalent to the average day's wages (US $1-3) to see a film, of which Bollywood produces over 800 films each year. That is more than double the number of feature films produced in the US," the report said. Indian gastronomy is also undergoing rapid growth. Food service sales in the country are growing at about 10 per cent annually, making it one of the fastest growing sellers in the world. This growth is double the rate expected for the much more mature US' restaurant industry, and with a population quadruple the size, it said. "These figures are significant on two fronts. The creative economy has both commercial and cultural worth. This dual value has led governments worldwide to focus on expanding and developing their creative economies as part of economic diversification strategies and efforts to stimulate prosperity and well-being," said Pamela Coke-Hamilton, who directs UNCTAD's trade division. The report said that globally design and visual arts are among the highest performing sectors with fashion, interior design and jewellery accounting for 54 per cent of creative goods exports in developed economies and 70 per cent (including toys) in developing economies. "Although the downturn in global trade has impacted all industries, the report shows the creative economy is more resilient than most," said Marisa Henderson, chief of UNCTAD's creative economy programme. The report said that the Indian animation and visual effects industry (VFX) grew at 16.4 per cent in 2016 to reach a size of $8.2 billion. The State governments are implementing favourable policies and Maharashtra, Karnataka, Telangana have announced, or are coming up with, policies in support of the of the animation and VFX industry, it said. "These would enable the Indian animation and VFX industry to effectively compete with established markets such as the US, Canada and emerging centres in Republic of Korea, France, China and Malaysia," the report said, citing a KPMG India-FICCI Indian Media and Entertainment Industry Report 2017. It said that visual effects are indispensable parts of filmmaking and the Indian film industry is the largest in the world in terms of number of films produced.